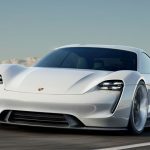 What is electric powered, has 400 miles range, a top speed of 161 mph, all-wheel drive and has unique opening doors? Tesla? Nope. Not a Tesla this time. 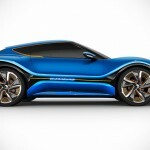 Neither is it yet another China-based EV maker. It is none other than the Fisker EMotion Electric Luxury Sedan from the revived Fisker Automotive (now called Fisker, Inc.) founded by Henry Fisker. This stunning EV with sweeping lines made its global debut on January 9 at CES 2018 in Las Vegas. 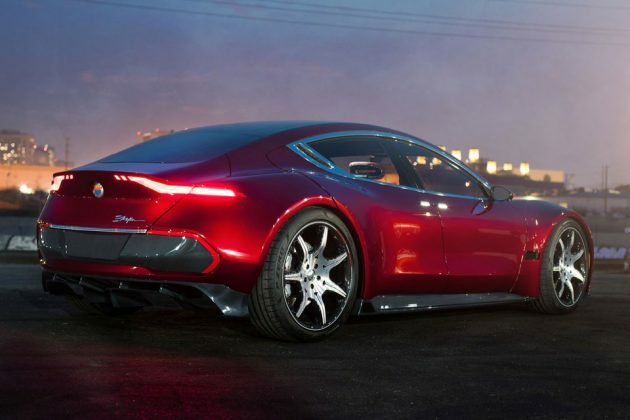 Key selling points include “supercar desire” (in the company’s own words, btw), integrated Quanery S3 LiDAR sensors for autonomous driving, impressive automatic butterfly doors, “luxury interior of the future,” and Fisker’s very own patent-pending Flexible Solid-State Battery that touts 2.5 times the energy density of lithium-ion. Not that it needed a lot of ‘key selling points,” IMHO. 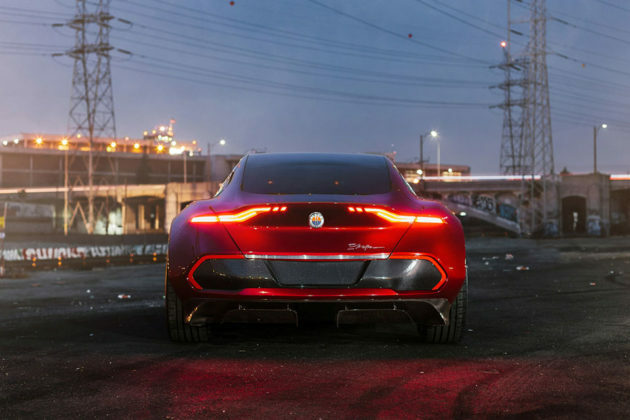 The world is sorely lacking of alternatives to prominent brands like Tesla and so, I would say Fisker EMotion Electric Luxury Sedan and the earlier announced BYTON SUV are welcome competitions. 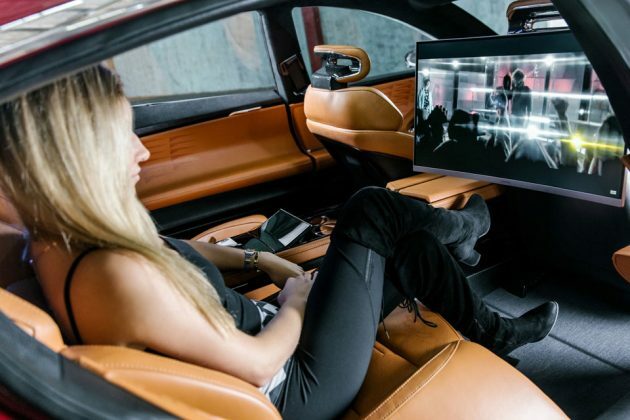 Other notables include 24-inch low rolling resistant Pirelli tires, optional lightweight carbon barrel wheels, a carbon fiber and aluminum construction, smartphone controllable door opening/closing, exterior unmovable flush touch handles, discreet inner levers with touch panel closing, functional aero kit with exposed carbon fiber diffuser, ultra-soft premium leather, three driver-orientated displays with center curved screen, inductive charging ports with special holders for up to four smartphones, carbon fiber center console, four individual electric adjustable seats, and individually adjustable four zone electric tinted roof. 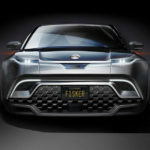 As Fisker, Inc. debuts its first EV after its revival at the CES, the company is also taking reservation for the vehicle. 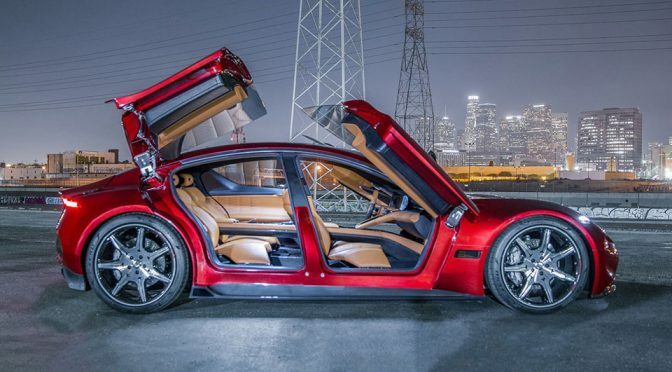 The base price of the Fisker EMotion Electric Luxury Sedan is $129,000 and a $2,000, full refundable deposit is required to reserve a unit. However, it is worthy to note that each household is limited to two reservations. And we do not know when it will roll of the production line. You may want to continue reading for a product teaser trailer. All images courtesy of Fisker, Inc.